NoHo, for North of Houston Street (as contrasted with SoHo, South of Houston Street) is a landmarked, primarily residential upper-classneighborhood in the New York City borough of Manhattan. It is bounded by Mercer Street to the west and the Bowery to the east, and from East 9th Street in the north to East Houston Street in the south. 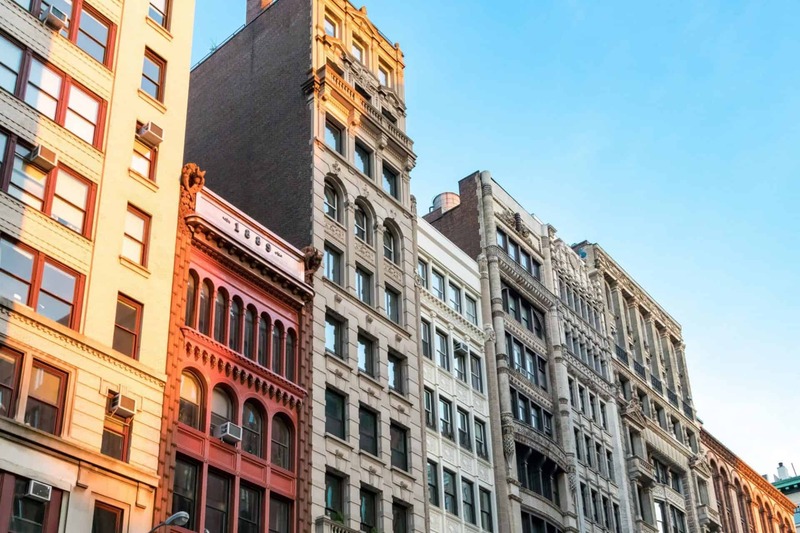 The Landmarks Preservation Commission has declared most of the 125-building area a historic district, divided into the NoHo Historic District and the NoHo East Historic District, created in 2003. The NoHo Historic District, which comprises approximately 125 buildings, represents the period of New York City’s commercial history from the early 1850s to the 1910s, when this section prospered as one of its major retail and wholesale dry goods centers. Acclaimed architects were commissioned to design ornate store and loft buildings in popular architectural styles, providing a rich fabric against which shoppers promenaded, looked at display windows, and bought goods, and merchants sold products. The district also contains early-nineteenth century houses, nineteenth- and twentieth-century institutional buildings, turn-of-the-century office buildings, as well as modest twentieth-century commercial structures, all of which testify to each successive phase in the development of the historic district. 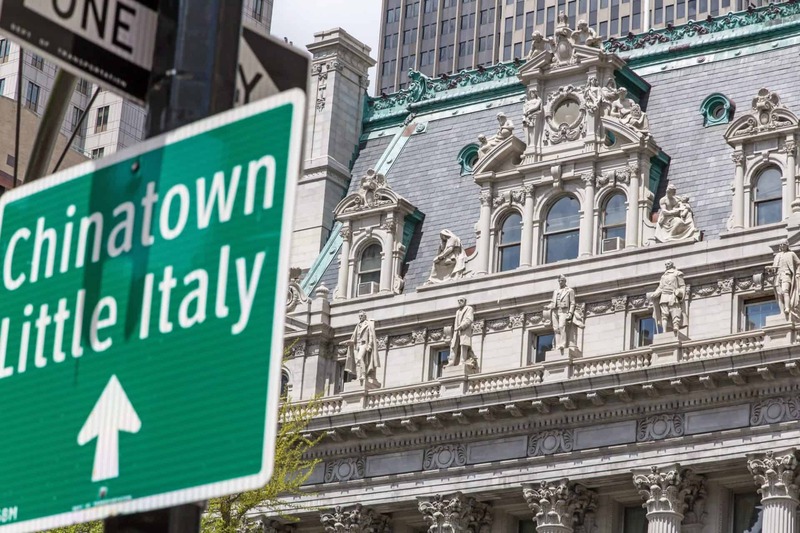 Today, the effect is of powerful and unifying streetscapes of marble, cast iron, limestone, brick, and terracotta facades. The NoHo Historic District was expanded in 2008. Additionally, another district in the neighborhood, the NoHo East Historic District, was created in 2003. The designations followed considerable effort by and strong support from numerous local community and preservation groups, including the Greenwich Village Society for Historic Preservation and Historic Districts Council, and together, they form a contiguous area of landmarked buildings over 21 city blocks. The 2008 extension is bounded on the west by Lafayette Street, on the east by the Bowery, on the north by East Fourth Street and on the south by Bond Street. It includes 56 buildings and a mid-block parking lot to the south and east of the existing Noho Historic District. It does not include 30 Great Jones Street, a historic building that was partially demolished in early 2008. Most of the buildings in the extension were built between the 1860s and the early 1900s, when the area had become one of the city’s major commercial and manufacturing districts. By the late 1800s, larger commercial lofts in the Greek Revival style became the dominant building type. The Merchant’s House Museum, at 29 East Fourth Street, is an individual historic building located just outside the eastern boundary of the Historic District. It is also a National Historic Landmark and is listed on the National Register of Historic Places. Both the inside and outside of this 1832 house have been restored to the mid-19th century style in which merchant Seabury Tredwell and his family lived. Despite the fragility of the structure, in April 2014 the New York City Landmarks Preservation Commission approved construction of an eight-story hotel immediately next door. Preservationists including City Councilwoman Rosie Mendez, the Greenwich Village Society for Historic Preservation, the Historic Districts Council and the Museum itself fought the proposed hotel for years due to concern for the intact survival of the Merchant’s House. The LPC approved it over the objections of engineers and architects. Some individual landmarks in the NoHo Historic District include: the Astor Library, the Bouwerie Lane Theater, the Bayard-Condict Building, the De Vinne Press Building. Two New York City Subway stations, Astor Place and Bleecker Street, are also landmarked. The only survivor of the 19th-century upper class era is half of the original Colonnade Row, which is also landmarked.The Gene Frankel Theater, established in 1949, is located in the landmarked 24 Bond Street building, built in 1893. Across from Colonnade Row is The Public Theater. If you’re thinking of buying in NoHo, our foremost goal is to provide you with exceptional customer service. Our goals are to help you purchase the right home, make sure you don’t miss out on any homes that meet your needs and make sure you don’t pay too much for your next home. Please utilize our New York real estate expertise to make your home search and buying experience as stress-free and rewarding as possible. We utilize the latest, cutting-edge, real estate marketing tools to expose your NoHo property to the widest range of potential buyers. We are here to get your house aggressively marketed to sell as quickly as possible and for the best price! Our goals are to help you get your NoHo home sold, put you in the strongest negotiating position as possible, and to make it easier for you and reduce surprises.